Want to have Tallahassee’s best skin care treatments? Our reviews speak for themselves. Our skin technicians will offer you a luxurious escape to help hydrate, nourish, and clean your skin. Below are some of the services we offer, we know sometimes, especially for first-timers, you may have some questions. Please feel free to reach out to us today, ask away, and set an appointment today! 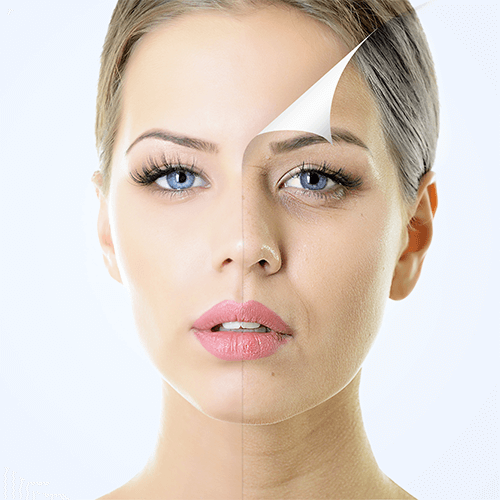 HydraFacial is a non-invasive, multistep treatment for all skin types that combines the benefits of next-level customized treatment for your skin including hydradermabrasion, a chemical peel, automated painless extractions (no pinching! ), LED, serums that target specific needs and a special delivery of Antioxidants, Hyaluronic Acid and Peptides. It does all of this in as little as a one hour and it delivers real results without downtime or irritation. 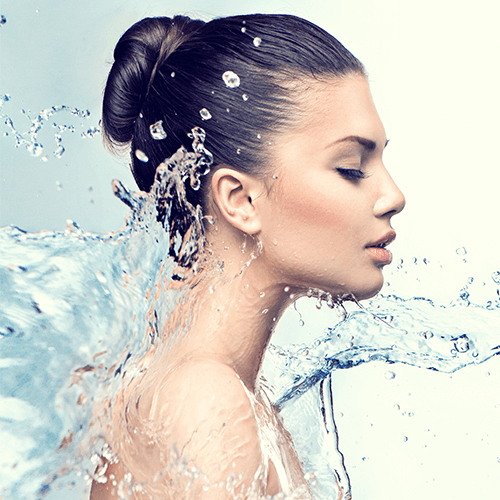 Come and experience the Ultimate Spa facial using the cutting edge HydraFacial as mentioned in the clinical treatment, PLUS the innovative CTGF™ (Connective Tissue Growth Factor). 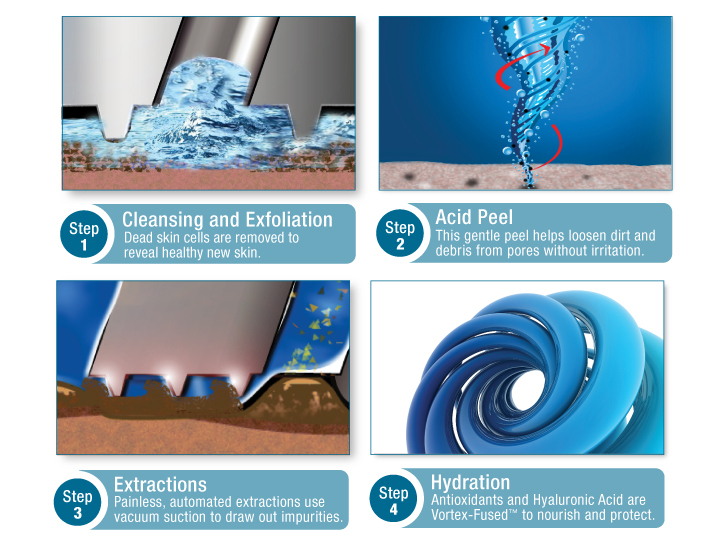 CTGF™ is a Vortex-Booster™ in the HydraFacial Treatment that will minimize the appearance of fine lines and wrinkles. With naturally derived growth factors being the main ingredient in CTGF™, skin health and vitality will improve overall and skin will be brought back to its youthful state. 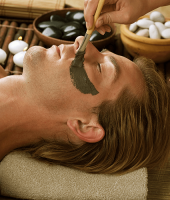 Additionally, our well sought after luxurious facial massage will top of your Ultimate Spa Hydra Facial. Treat your skin with some of signature treatments which can help relieve tension on your skin and help you feel better inside to. Truly a wonderful experience where the service is customized to your skin type and specific needs. 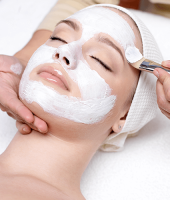 This facial includes cleansing, toner applications, steam, an enzyme peel exfoliation, extractions, a relaxing facial massage, mask, protective creams, plus an ampoule of your choice. It restores balance to tired, dull, lackluster, and overactive skin. This treatment is made for all skin types (sensitive, dry, oily, combination, and acneic). Afterward, a consultation will be given on items that will allow your skin to look its best. Continue to the following pages for a list of ampoules Millennium has to offer. Acneic skin requires extra care and attention. Each step of this treatment utilizes specialized ingredients to address current and future breakouts, blackheads, sensitivities, and irritated skin. This facial includes deep cleansing, toning, exfoliation extractions, use of our high-frequency machine, then a purifying mask. The combined action of the high-frequency machine and mask will calm and heal the skin, leaving it absolutely smooth, decongested, and disinfected. Short on time or just want a relaxing break from a hectic day. 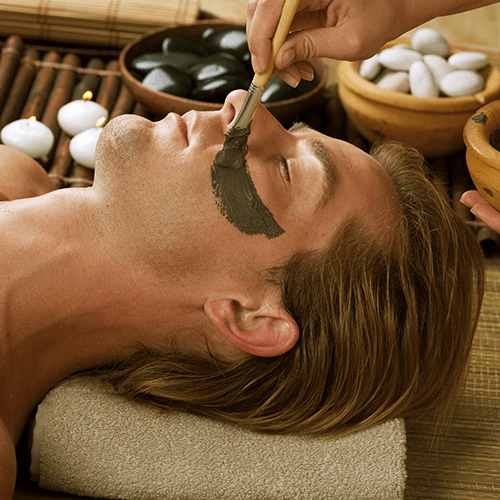 Then this mini facial is deal for you. Catered precisely to your needs it comprises of cleansing, toning, a relaxing facial massage, natural enzyme peel, treatment mask, and moisturizer. This service leaves you enough time to grab a bite to eat before heading back to the office (steam and extractions are not included). This is a nonsurgical, aesthetic procedure that uses tiny crystals to strike and exfoliate the skin. Older drier skin is removed at a pace that the natural skin sloughing process cannot match. It will tighten skin, reduce oiliness in the T-zone, flatten scars, correct photo damage, and reduce fine line dynamic rhytids. Highly effective exfoliation which triggers the regeneration of new cells, promotes better absorption of skin care products and allows cosmetics to look smoother on the skin. Gentle enough for sensitive skin. Completed with a sterile, surgical scalpel. 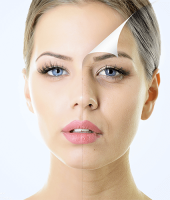 Dermaplaning gently “shaves” the surface of the skin removing the uppermost layer of dead skin cells. Secondly, the vellus (peach fuzz) hair is removed. The immediate result is smooth, even skin-tone with a healthy glow. This one hour service includes a hydrating treatment that is customized for your specific skincare needs. A breakthrough in Stem Cell Phyto-Biology uses not one but three sources to revitalize, renew, and rejuvenate the skin. It provides epidermal and dermal repair, anti-aging properties, reduces wrinkles, boosts collagen, and intensely hydrates. Don’t wait make your appointment today! The Pevonia lumafirm® Lift & Glow in-spa facial treatment renders your skin ultra-luminous with a firmer, tighter and more youthfully defined appearance. Exclusively formulated with the latest in freeze-dried technology, this remarkable treatment with cumulative benefits is ideal for any skin type showing signs of aging, or works as the perfect instant repair boost when you want to look your absolute best. Definitely a fan favorite. This opulent anti-aging treatment lavishes your skin with pure caviar and pear extract. Designed with a revolutionary bond of phyto-extracts known as Escutox. Escutox repairs and replenishes the skin from the inside out. This decadent mask increases skin’s oxygen levels to reduce expression lines while improving suppleness and elasticity. This highly, enriched, anti-oxidant facial will increase your skin’s elasticity while reducing fine lines and wrinkles. Created to combat those troublesome free radicals it will leave your skin feeling rejuvenated, replenished, and nourished. Treat your skin to the extraordinary benefits of green tea, French rose, and licorice. This facial soothes the skin, eases blotchiness, and reduces redness. It also hydrates, decongests, and provides UV protection. An ideal treatment for all hypersensitive skin conditions especially those with couperose, erythrose, rosacea, and acne rosacea. Carefully crafted to combat those pesky free radicals that cause premature aging by infusing the skin with vitamins A, E, and D. The mask is truly one of a kind. It not only warms the skin promoting maximum vitamin absorption, but cools the skin to seal in hydration while minimizing pores. This luxurious treatment will leave dehydrated skin feeling soft, supple, and moisturized. Want to reveal a more evenly toned, porcelain-smooth complexion that everyone will notice? Then try this innovative micro-retinol treatment. Don’t let the word micro fool you. This line packs quite a punch. This small compound carries extra stability, better absorption, zero oxidation, and no chemical breakdown. Benefits include: smoothing, increased brightness, and is extremely anti-aging. Featuring advanced micro-emulsification and micronization technologies combined with proven-effective active ingredients for instant results, this mask utilizes Green Apple extract to brighten and tighten your skin while providing extreme hydration. Instant results! Smooths and softens skin texture, reduces visible pores, balancing, oil controlling and mattifying, hydrating and brightening. Those seeking deep hydration and a tighter, smoother overall texture for a matte finish with a bright effortless glow and minimized pores. Recommended for all skin types, oily skin, combination skin, dehydrated skin, and dilated pores. Advanced micro-emulsification and micronization technologies deliver a silky-smooth formulation of active ingredients to instantly purify, balance, and brighten your skin with this lightweight Citrus infused mask. Instant results! De-aging, pore-cleansing, detoxifying, purifying, and mattifying. Clarifying and brightening, improves skin tone and delivers a healthy glow. Those who want to detoxify and deeply cleanse their pores while simultaneously hydrating their skin to soften and protect. Recommended for all skin types, oily skin, dilated pores, skin with impurities, smokers, and acne control. Naturally derived, this mild lactic acid peel stimulates your skin’s natural exfoliation process while deeply hydrating. A perfect treatment to lighten hyperpigmentation and ease epidermal thickening. Optimal ‘C’ Complex- brightens and rejuvenates. Collagen Polypeptides with Myoxy-Cavier-deeply hydrates, wrinkle smoothing, and illuminates the skinElastin Polypeptides with Sorghum-firms, intensely. Elastin Polypeptides with Sorghum-firms, intensely hydrates, and improves texture and tonicity. DNA Polypeptides with Diacetyl Boldine- refines epidermal surface, tightens dilated pores, and smooths light scarring. Soothing Propolis Concentrate – extremely healing, vaso-constricting, anti-bacterial, and decongesting. Smoothing Formula – calming, healing, and diffuses redness. Rejuvenating Vitamin Concentrate – replenishing, fights anti-free radicals, and highly anti-oxidant. Vitamin “C” with Oxyzomes – oxygenates the skin, corrects photo damage, and profoundly anti-oxidant. 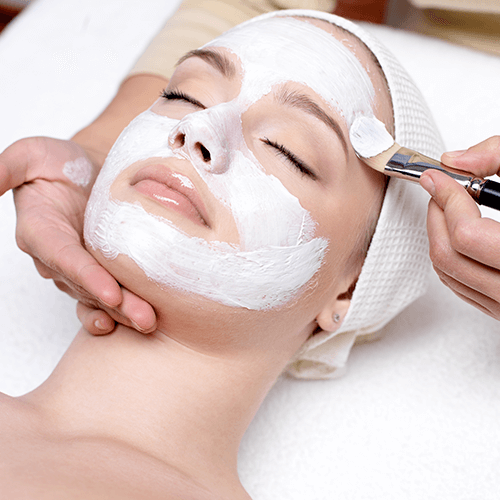 You deserve a facial, book one of our treatments today!